A leaked video uploaded to, and subsequently pulled from YouTube has the internet aflutter tonight with news that Google may be about to bring its latest crown jewel to iOS. 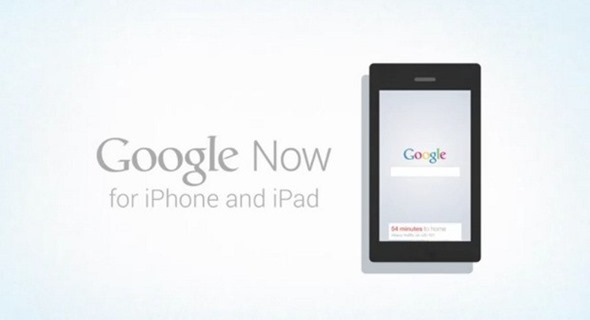 The promotional video, which looks entirely legitimate and features a voice over that sounds just like the original Now announcement video, shows what appears to be Google Now on the iPhone, with text proclaiming that the iPad will also be able to take advantage of Google’s Siri-like functionality. However, the video has now been pulled from YouTube, though as is always the case, someone managed to download it beforehand. According to the as yet unverified video, Google Now will be bundled in with Google’s existing Search app for iPhone and iPad, with Now being kicked off by swiping up from the bottom of the screen, just as it is on Android. The big difference here though is that Google Now will not be built right into the operating system, and as such will need to be launched rather than always being sat waiting for a command. Google Now is integral to recent Android updates, and is sure to be an important part of Google Glass when the device begins to ship. Bringing Google Now to the competition, namely the iPhone, may initially seem like madness until you remember who Google actually is. The aim of the game for Sergei and his band of merry geniuses is to gather as much information as possible and then use that to target advertisements. Whether that be on iOS or Android, the end result is still the same as far as Google is concerned. Whether iOS users will flock to use Google Now remains to be seen, but as a group of people that use both Android and iOS regularly, we’re rather excited to hear news of Google Now’s possible entry into the App Store, even if it is on the back of an existing app. There has been no word from Google as to the video’s authenticity just yet, and it’s entirely possible that it is either fake, or simply a remnant of a Google project that got killed off before it could come to fruition. Let’s just hope it’s all above bored, eh? It’s also believed that Google Now will also make its way to Chrome OS and the browser of the same name on Windows. We’re in an amazing time game here.